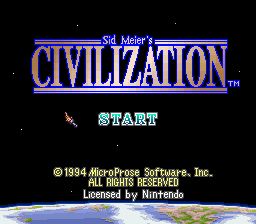 Sid Meier's Civilization is a turn-based single- or multiplayer strategy game. 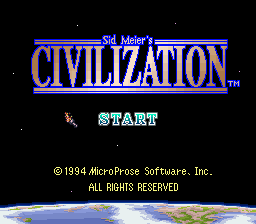 The player takes on the role of the ruler of a civilization, starting with only one settler unit and one warrior, and attempts to build an empire in competition with one to eleven other civilizations. The game requires a fair amount of micromanagement (although less than any of the simulation games). Along with the larger tasks of exploration, warfare and diplomacy, the player has to make decisions about where to build new cities, which improvements or units to build in each city, which advances in knowledge should be sought (and at what rate), and how to transform the land surrounding the cities for maximum benefit. From time to time the player's towns may be harassed by barbarians, units with no specific nationality and no named leader. These threats only come from unclaimed land or sea, so that over time there are fewer and fewer places from which barbarians will emanate.